Need a bunch of hard boiled eggs? Have you ever tried baking them instead of all the fuss with boiling them? 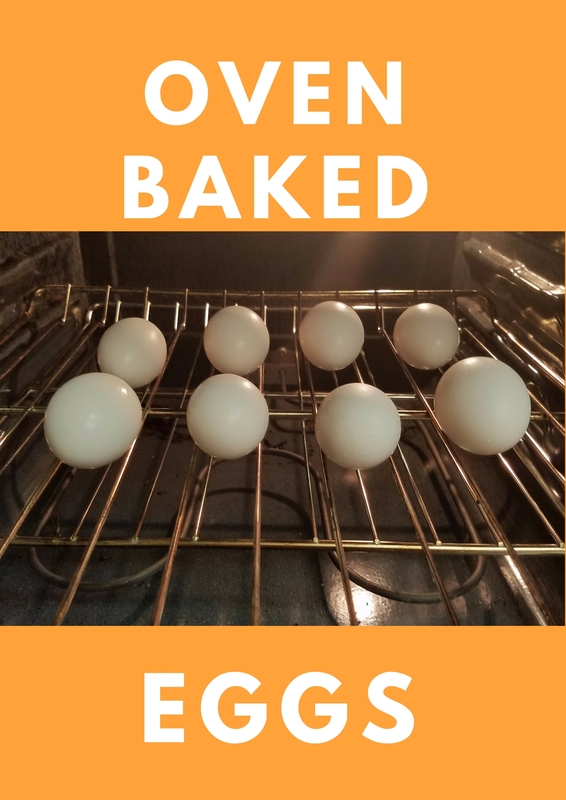 Yes you can bake eggs in there shell right in the oven, if your needing a lot of eggs let’s say two dozen or so for a big party. This is an easy way to get them all cooked at one time. Sometimes I use a muffin tin to cook the eggs in, when they are done they are super easy to take out of the oven and bring them to the cold water bath. The one big mistake I have made with doing eggs like this is not extending the cook time for extra large eggs. I would add about 5 more minutes to the total cooking time. As far as the easy peeling, not so much compared to eggs that come out of an Egg Cooker. So most of the times i use the egg cooker unless I need a lot of eggs cooked up. After you have the shells off of them place them back in the cold water to stop the cooking process. Do you get hot spots on the eggs from using the muffin pan? I find that I do. That is a funny thing that happens, you do get hot spots.